I’m a designer, artist and author of a few illustrated books including a new journal called PICK ME UP. Everything I do is about communicating a feeling, usually very literally. Growing up, we were only allowed to open one present per night of Hanukkah, so we would shake the boxes, secretly peel back corners, and otherwise try to figure out the order of which to open first. If you think waiting ’til Christmas morning is hard, imagine staring at a wrapped present for 8 nights not knowing what’s inside! The holidays are a little less magical as adults because, well, we know how the sausage is made now. 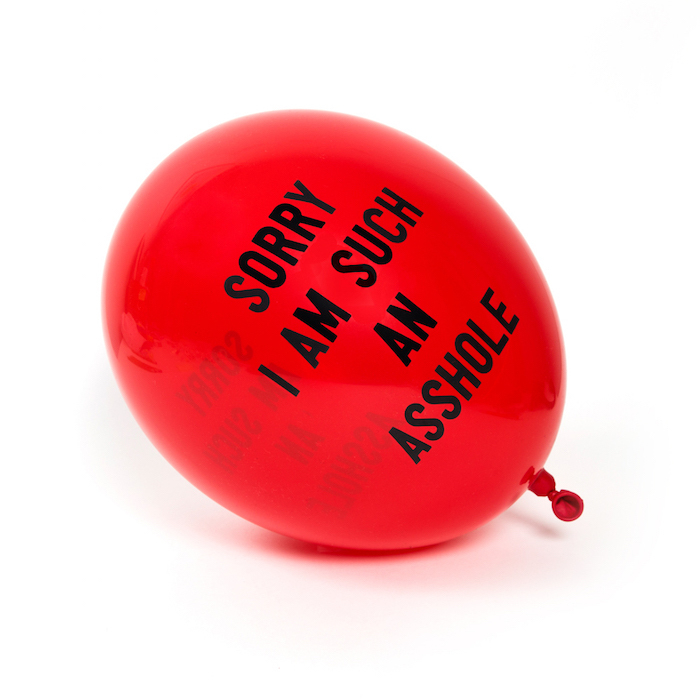 The holidays bring out a bit of a monster in all of us as we stress and struggle to make things perfect, so more likely than not, these balloons are going to come in handy. These are a great designy gift for that person in your life that claims to not want any gifts, or a really great adult stocking stuffer because there are 12 per pack.